Simón Bolívar , 1783-1830, South American revolutionary who led independence wars in the present nations of Venezuela, Colombia, Panama, Ecuador, Peru, and Bolivia. 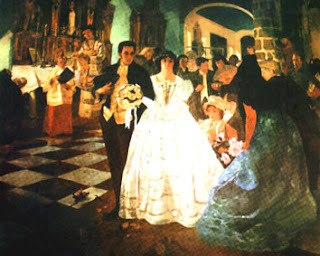 Early Life and Setbacks Born of a wealthy creole family in Caracas, Venezuela, Bolívar was educated by tutors such as Andrés Bello and Simón Rodríguez, and was influenced by the writings of European rationalists such as John Locke and Jean Jacques Rousseau. When the revolution against Spain broke out in 1810, he enthusiastically joined the rebel army, but in 1812, his forces were defeated at Puerto Cabello, Venezuela. 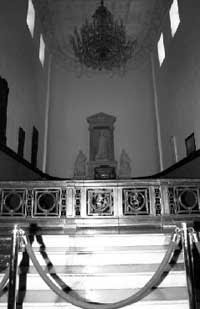 In bitter response, he joined the men who imprisoned the patriot leader, Francisco de Miranda . 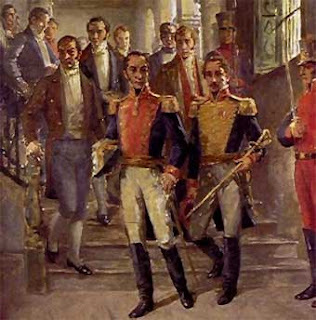 In July, 1812, following an armistice, Bolívar went to Cartagena and joined forces with Colombian patriot, Antonio Nariño . He returned to win notable victories against the Spanish; in Aug., 1813, he entered Caracas and was given the title of "the liberator." In 1814, the Spanish recaptured Caracas and the revolutionaries were scattered by a royalist force under Pablo Morillo . Bolívar escaped to Jamaica, where he wrote La Carta de Jamaica (The Letter from Jamaica), his inspired political document advocating republican government throughout Spanish America, modeled after Great Britain. The Liberator In the spring of 1816, with the backing of the small republic of Haiti, Bolívar launched an invasion of Venezuela. After a disastrous failure, he returned to Haiti. In 1817, he returned to his homeland to lead the revolutionary army. He recruited José Antonio Páez , who led an army of llaneros (plainsmen) and European veterans of the Napoleonic wars. Resuming the war, he occupied part of the lower Orinoco basin. At Angostura (now Ciudad Bolívar ) a congress elected him president of Venezuela. There, in 1819, he conceived his brilliant strategy of attack. With a force—made up largely of llaneros under Francisco de Paula Santander and Páez—he crossed the flooded Apure valley, climbed the bitterly cold Andean passes, and defeated the surprised Spanish forces at Boyacá (Aug. 7, 1819) in one of the great campaigns of military history. The same year, he was made president of Greater Colombia (present-day Colombia, Venezuela, Ecuador, and Panama). 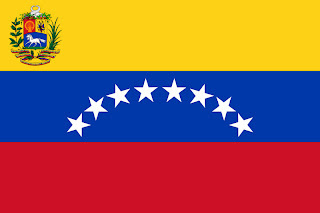 Venezuela's freedom was secure following his victory at Carabobo (June, 1821). Ecuador was liberated when he and Antonio José de Sucre won the battle of Pichincha in May, 1822. In Quito, Bolívar met the woman who was to accompany him for much of his life, Manuela Saenz, herself a devoted revolutionary and progressive thinker. From Quito, Bolívar undertook to free Peru, where the forces of the great Argentine liberator José de San Martín were already operating. 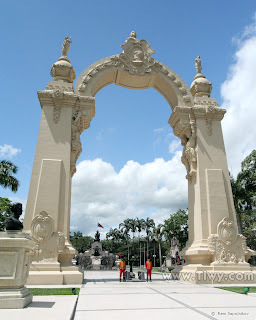 At Guayaquíl in July, 1822, Bolívar and San Martín met in secret. What occurred there is still unknown, although speculation continues to this day. The outcome was the withdrawal of San Martín. 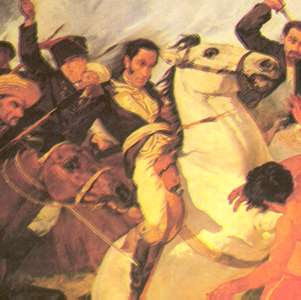 Bolívar commanded the patriot forces that won at Junín and Ayacucho in 1824, bringing to a victorious conclusion the revolution in South America. He organized the government of Peru, and dispatched Sucre to conquer Alto Perú, which became Bolivia. Disillusionment and Tribute In 1826, he furthered his vision of a united Spanish America by convening representatives of the new republics at Panama; although little was accomplished, it marked the beginning of Pan-Americanism. Separatist movements continued to undermine the union and there was much dissent against his power and his high-handed methods. 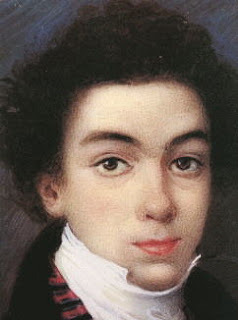 Bolívar barely escaped assassination by jumping from a high window and hiding with the help of Manuela Saenz. He could not halt the crumbling of Greater Colombia, and Venezuela and Ecuador seceded. In poor health and disillusioned ( "We have ploughed the sea," he said), he resigned the presidency in 1830. Shortly thereafter, he died of tuberculosis near Santa Marta. 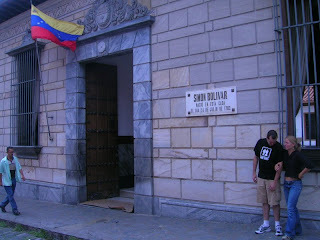 He died poor and bitterly hated, yet it was not long before South Americans began to pay tribute to the hero of their independence. Today, monumental statues of Bolívar adorn the central plazas of cities and towns throughout the Andean region.